Ogilvy UK had a good year with fee income estimated to be £29.5m for 2014, up 11 per cent on 2013. It was an eventful year in the wider EMEA region, with the WPP agency entering into a majority shareholding with its Middle East and North Africa operation (Memac Ogilvy), adding 12 new offices to its global network. According to recently promoted UK CEO and chief operating officer EMEA Michael Frohlich, the move has enabled the firm to embrace opportunities in Sub-Saharan Africa. "The growth potential in that region is phenomenal. Memac has had a brilliant year," he says. Other strong performing regions include South Africa and France and Turkey. Asia-Pacific also showed significant growth. In the UK alone, Ogilvy PR picked up 32 awards for its work across integrated comms campaigns. In terms of UK head count, staff numbers are up 14 per cent on last year – the largest increase across all regions. Frohlich explains this is one of the agency’s biggest challenges: "Because we are in growth mode we are consistently hiring. It is so hard to find great talent and understanding the new younger workforce is a challenge." 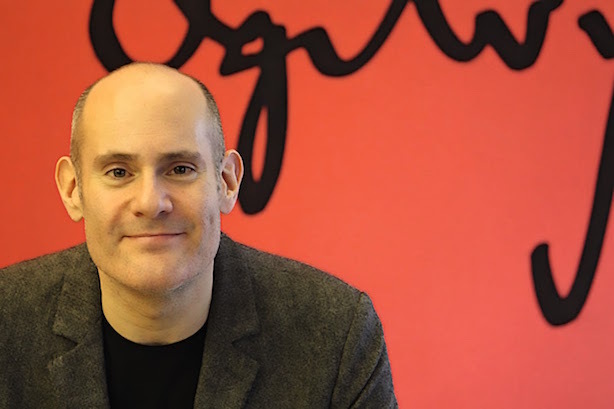 To tackle this, Ogilvy has invested in a dedicated talent management team in the UK and EMEA. Integrating the team will be a focus for 2015. Other targets for the year include gaining leadership in social over other international agencies, expanding its geographical footprint and ramping up the agency’s content offering in fast-growing markets. Key clients that contributed to the growth in 2014 include Vodafone, a global remit the agency picked up at the end of 2013 that is run from London across 11 other markets. The Puma account, which is also led out of London, continues to bring in strong revenue for the firm and has expanded into three additional markets: China, Singapore and the US. Ogilvy works with BP on a global basis while the agency’s campaign work for the European Parliament in the lead-up to the 2014 elections was also a significant factor in last year’s financial performance. The firm prides itself on a high client retention rate in the UK, with no losses taking place in the last year. Outside of the UK, in the Asia-Pacific region, Ogilvy lost clients Swarovski and BSH Home Appliances. A key restructuring took place during 2014 around brand marketing and content. In 2012 the UK business created a real-time content model – this has now been adopted globally, with specialist staff allocated to all of the offices across the network. New content clients came on board last year including Hellmans, Glade and Old El Paso, while the agency has also started to do content for retained client BA. As a result social, content and brand marketing was the strongest performing sector last year, followed by corporate. Frohlich says: "We already had the right people – it was a case of how to get the model to turn around content quickly. The biggest change is to get the clients on board to help them reshape their internal structure. Clients are used to going through their legal departments and now they can’t do that because it needs to be done in two or three hours." Last year also saw major reshuffles in senior management including the promotions of Stuart Smith to global CEO, Chris Graves to global chairman and Frohlich to UK CEO. New hires in the UK include Lara Leventhal who joined as MD in London. As part of a plan to grow its corporate practice, Ogilvy brought in Nicky McHugh, former SVP of MSLGroup’s New York corporate practice, as executive director and at the start of this year the agency recruited Heather Alderson from ad agency BBH to head up the planning function across the entire Unilever portfolio and Ogilvy Group. Although he is expecting revenue to grow over the course of 2015, Frohlich says: "We are in a hangover from the recession – procurement rules, clients want huge ROI and there are year-on-year budget cuts. "These three things have become embedded in client behaviour so even though the economy is getting better these factors aren’t going to change."